The Ice Queen needs a little help from you to clean her closet! 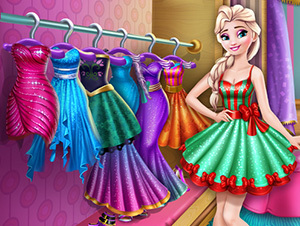 Join her in this fun new mobile game and find her lost outfits. Once you have the pile of clothes, sort them and then try them on in a fun dress up session. The Ice Queen will be absolutely thrilled with her new wardrobe!